A brilliant first week back. This week Ingestre was host to a small group from Staffordshire. With just 17 children, St Leonard’s were able to have Ingestre all to themselves. The groups theme for the week was ‘Wind in Willows’, focusing on expressing this through Drama and Visual Art. 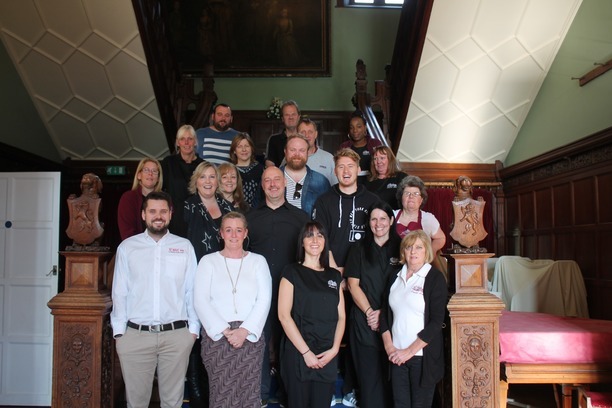 On Monday Ingestre Hall hosted the annual SRES 'Sandwell residential education services' training day. This was a brilliant coming together of all four of sandwells residential centers. The day was celebrating the significance of our residential expiriences highlighting the difference that we make to young peoples lives. Once everyone had arrived and streched from the long journey from Plas Gwynant, Frank Chapman (and the not so far Edgmond Hall) we began with a emersive 3D Virtual Tour of Ingestre Hall and a few words from Richard Oakes, Head of Service.